In a stunning event, social media giant Facebook has announced that it has agreed to purchase the popular San Francisco-based photo-sharing service Instagram. Originally launched in 2010, Instgram quickly became popular with social media fans by providing an easier way to share photos taken with their mobile phone. The acquisition was announced on April 9th, by Facebook founder and CEO Mark Zuckerberg, through a Facebook blog post. The deal is expected to be a cash and stock acquisition valued at approximately $1 billion, and is expected to close later this quarter. In his post, Zuckerberg emphasized that, although their people will be joining the existing Facebook team, Instagram will remain independent and he has pledged to help further develop their app and brand. Instagram founder Kevin Systrom’s blog echoed that point, stating that “Instagram is not going away” and that the service will remain as-is. 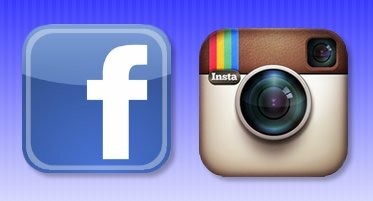 Zuckerberg has stated in his post that he intends to develop features similar to those of Instagram’s for use in their other products. The acquisition of Instagram is the company’s largest acquisition to date, towering mightily over their $70 million acquisition of Israeli mobile developer Snaptu. Zuckerberg has noted that this is the first time they’ve acquired a company with so many users, and an acquisition of this scale is unlikely to happen again anytime soon. Facebook is currently in the process of going public, and is expected to go through with its IPO next month.